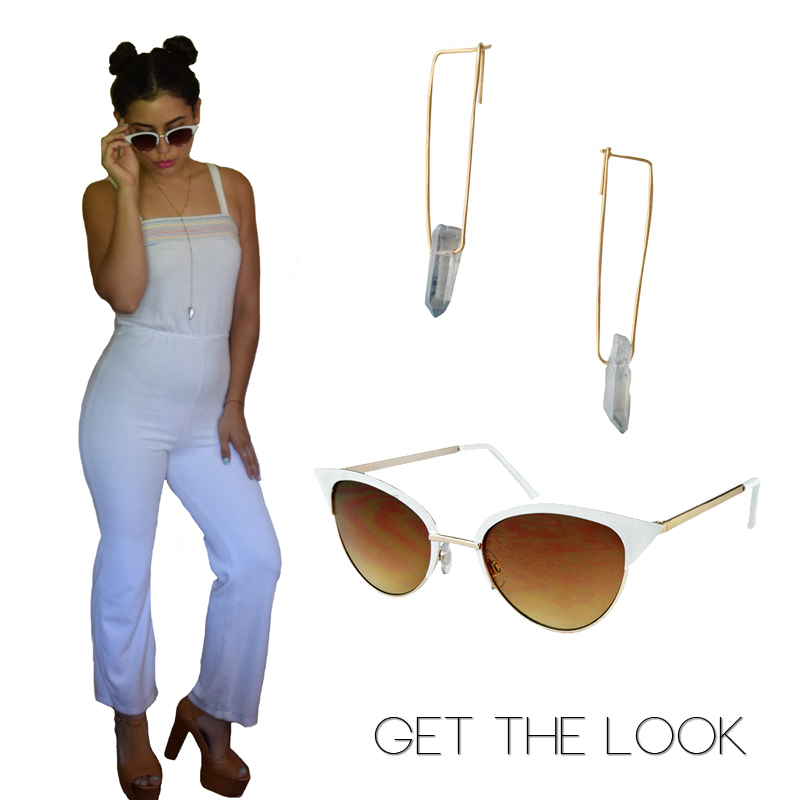 We're bring back the 1970s with this groovy Vintage Terrycloth Jumpsuit, handpicked by Better Than Naked! What's not to love about anything you can wear poolside? Grab your Cape Cod Cateye sunglasses and a cocktail and you're ready to hangout by the pool. We paired this vintage look with our Iris earrings by California based jewelry designer Five and Two.